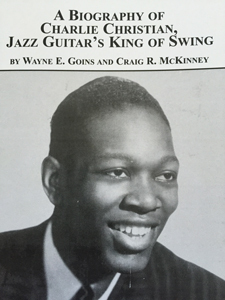 Wayne Everett Goins, university distinguished professor and director of jazz studies, has been invited to participate as the leading authority to discuss the swing-era guitar style of legendary jazz guitarist Charlie Christian in a film directed by Scott VanOrden in Minneapolis, Minnesota. VanOrden owns a production company for a new internet music television channel. Thanks to antique guitar collector Lynn Wheelwright, Goins — along with former Stray Cats rockabilly king Brian Setzer — will have the rare opportunity to actually perform on the legendary Gibson ES 150 electric guitar that Christian played during his heyday with Benny Goodman in 1940. The filming is taking place Aug. 22-24 at three locations.